Fall is an amazing time to visit Walt Disney World. There are so many amazing events that will be taking place that are only offered for the fall season at the parks and you won’t want to miss it. 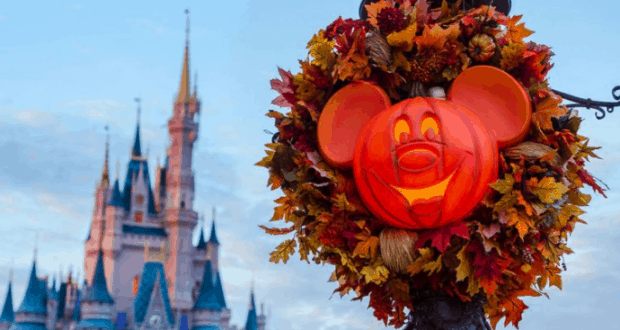 We have learned from Disney Parks Blog that a new special fall offer is available for guests looking to book a fall vacation to Walt Disney World. This special offer will be available to book through August 19th. It includes a five-night stay at a select Walt Disney World Resort hotel, four-day Magic Your Way tickets and a full itinerary of events throughout the theme parks. The special package is available for stays with guests arriving on September 3rd and departing on September 8th. The package runs with a starting price at $149 per person, per night for a family of four. If a family opted to stay at Disney’s Caribbean Beach Resort the total package price for four would be $2,980. *Price based on two adults, one junior, and one child. The number of packages allocated for this offer is limited. Valid Theme Park admission required to attend Theme Park events included with this offer. Theme Park tickets with Park Hopper Option must be used within 14 days of first use. First use must be on or before Dec. 31, 2018. Cannot be combined with any other discount or promotion. Offer excludes three-bedroom villas. Who would love to book this amazing offer?